Congratulations to "Trish J. 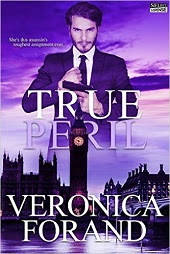 ", the winner in Veronica's giveaway. Thank you to all who participated! I just got home from Thrillerfest in New York City. Thrillerfest is the annual conference for the International Thriller Writers. It takes place in New York City every year. I joined ITW back in 2015 when my first thriller “Untrue Colors” was published and was included in the 2015 Class of Debut Authors. This program is a fantastic entry into the literary world. The highlight of the program is being introduced to the members of the organization in a breakfast presentation ceremony. The group for 2016 came from around the world to take part in the celebration. Thrillerfest also includes workshops for both writers and readers. The highlight for me is always the interviews with famous authors. This year CJ Box, Gillian Flynn, and Heather Graham were among those interviewed on the main stage. The interviews are always done by their contemporaries and can sway far outside of normal press interviews, revealing the human side of some of these mega stars. I’d highly recommend going next July. The city is full of excitement and the authors are engaging and accessible. And while we wait for next July, I hope you take the time to indulge in my True Lies series. All three books are available for download now and I can’t wait to hear what you think! 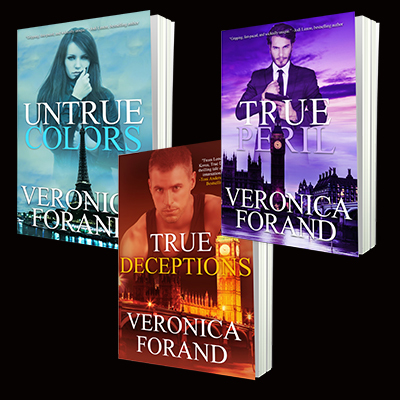 One lucky reader leaving a comment or email will win their choice of an eBook from the True Lies series. Giveaway ends 11:59pm EST July 14th. Please supply your email in the post. You may use spaces or full text for security. (ex. jsmith at gmail dot com) If you do not wish to supply your email, or have trouble posting, please email maureen@justromanticsuspense.com with a subject title of JRS GIVEAWAY to be entered in the current giveaway. It's always great to go to a conference with other like-minded people. I love the energy I always come home with after attending something like that! True Peril sounds great...lots of suspense. Thanks for the chance! Thrillerfest would have been so much fun.